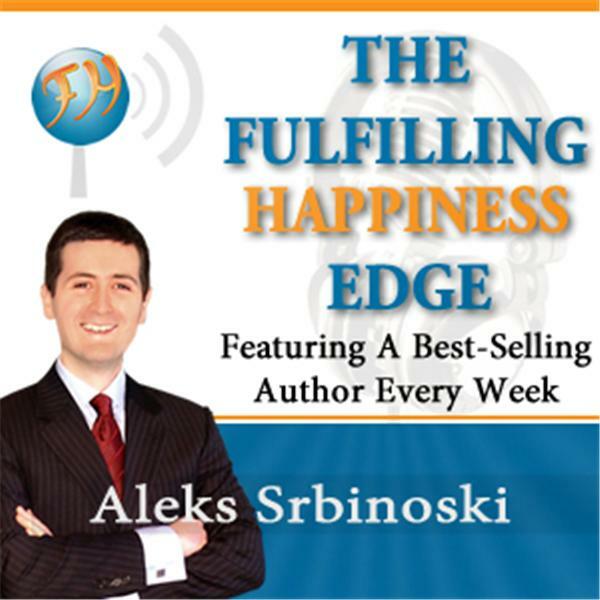 The Fulfilling Happiness Edge features best-selling authors in business and self-development and combines entertainment with professional and personal skill development. Power, Passion, Purpose, Pleasure, Performance, Prosperity and Persuasion. These are the 7 core Positivity Pillars of Fulfilling Happiness. Whether you need to improve your self, your business, or your relationships, you will learn how to manage your stress, harness your strengths, feel renewed, re-energized and inspired and move well beyond positive thinking by improving your emotional intelligence. Show host and author Aleks Srbinoski is a Clinical and Coaching Positive Psychologist with a wide range of organizational and personal consulting experiences and a unique background in creativity, comedy and improvisation. Having studied and modeled elite self-development trainers and engaging entertainers, Aleks ambitiously and often outrageously creates an experience that blends several types of show. Episodes offer cutting edge self-improvement strategy, expert interviews, creative exercises, humorous anecdotes and genuinely delivered specialist guidance. Watch out for the raw and real interactive segments including: Ask Aleks Anything Prominent Persona Unleashed 3 minutes to Fulfilling Happiness assessment challenge “In less than 3 minutes, I’ll tell you who you think you are, why you’re so much greater than that and what you must begin doing now to find Fulfilling Happiness…” And much more. Show content will be created based on audience demand. Loyal listeners are also frequently rewarded with life enhancing product giveaways.